SJ Wolfe Racing headed to today's Lark Hill barrier trials looking forward to seeing well-regarded two-year-olds Turn Of Phrase, Deangles and Starorio in action. The trio have all shown plenty of promise on the training track and in previous preparations, and while Oratorio filly Starorio didn't quite meet expectations in Heat 4, the stable was encouraged by the efforts of unraced Discorsi gelding Turn Of Phrase (pictured) in Heat 2 and stylish Demerit gelding Deangles in Heat 3. 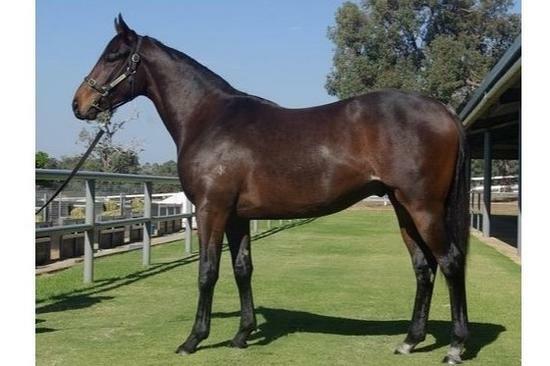 Turn Of Phrase, a half-brother and stablemate of the smart Mongolian Warlord, did a good job to finish third behind the highly-rated Braddadocious, who clocked particularly fast time for the 950 metres. Deangles, who wasn't too far away in two educational runs back in February, showed good gate speed to race outside the leader in his 950-metre heat and stuck on well to be beaten only two lengths on the line, in another of the fastest times of the day. Deanegles should be ready to go back to the races now, while Turn Of Phrase and Starorio will more than likely trial again at Lark Hill on Monday July 2.